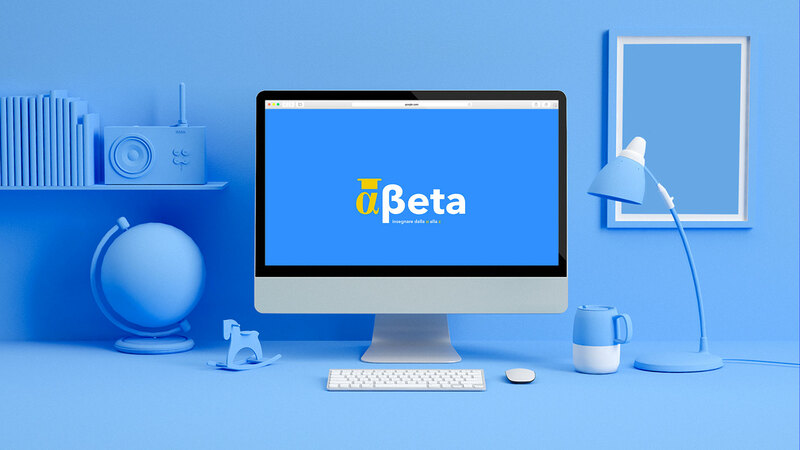 Alfabeta is a platform designed to support the educational path of kids from pre to post adolescence age, helping them to communicate with teachers and parents. Alfabeta, throughout a friendly and intuitive interface and thank’s to playful dynamics, allows the student to fall in love with the “researcher’s attitude”, the teacher to manage classes with more efficacy and the parent to supervise with discretion his kid’s school behaviour. As soon as I approched this project I felt the need to truly understand the education environment nowadays and how it kept changing through time. The entire research helped me figure out which where my main goals so I could set feasible guidelines to follow during the design process. Research phase passed throughout different stages that I can resume briefly. At first we concentrated on the relationship between studies and games, considering how in the past they have cooperated or, on the contrary, how one took advantage on the other. If during the ancient Greece playing games was considered an important mean to get knowledge, during all the “Christian Era” religious, cultural and hystorical conditions set the standard for an education based on other principles, considering games as a waste of time. Then, with XXth century we see rising new and sometimes controversial way of doing education, like the Montessori method in Italy, which places the child expression through creativity right in the middle of the educational approach. Since then many things have changed and that’s the reason why we moved to the analysis of the conteporary education enterprise. We made a deep research on table and digital games or products, specifically designed for educational purposes and we took into consideration how the geographical situations affect and transform school standars. We analyzed competitors and sperimental projects as much as we underlined all the issues connected to device-related pathologies and the legislation about the use of internet in schools. In the end we studyed the italian situation, reading up laws and plans of government to understand how much the country was investing into this field. Everything this helped us to build up an extensive and stong knowledge of the topic, fundamental for the construction of our design proposal. Main competitors we found during the benchmark. Some have a very ludic approach and some are more time/homeworks managment oriented. None of these, according to us, really could gather all the these functions in order to give schools a wider range of possibilities. Before workin on the website flowchart and n the UX, we clearly identified key values for each target, trying to match these with the different levels of access to the platform. In this way each user see just what he needs and what competes him. As soon as the research phase was ending, we pointed out all the main features of the project and we decided to work an a platform that could help students to be passionate about reaearch, while giving teachers and parents a useful tool for their kids progresses supervision. This led to a platform with different levels of access according to the different categories of targets and that could rely on a friendly and playful interface to engage its users. The entire visual language was curated in order to make the platform appealing for kids while being perfectly comprehendible also for adults. The main features of the platform are the possibility to check everyone progresses, assign homworks, ask for grade recovery or improvement and giving marks related to behaviour instead on tests. Classes can compete to reach collective rewards, teachers can interact with multiple students during “room” sessions and bring personal references to their lessons. Parents can ceck the class calendar and keep updated with their childrens activities.